I quilted this quilt back in December for Melissa Everett. 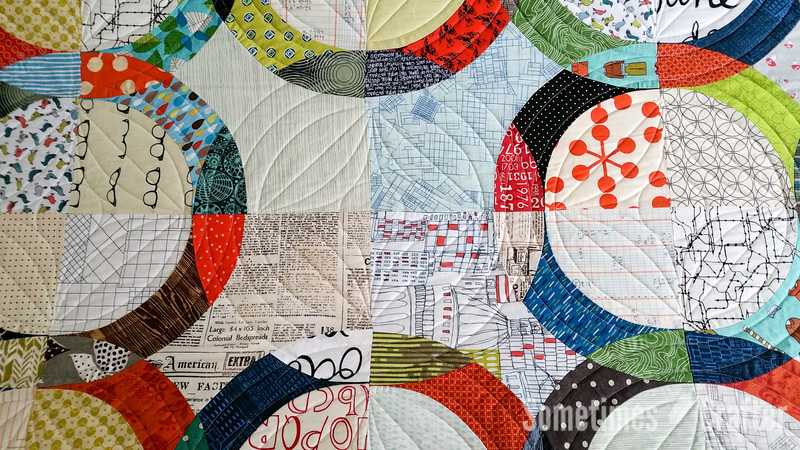 (It’s the January Quilt pattern by Lady Havertine.) This past week she entered this in the Smoky Mountain Quilter’s Quilt Show (with a couple other beauties) and it won Honorable Mention in ‘Large 2 Person Team’ and also won the ‘Modern Quilt Award’. I think it’s well deserved for all of those pieced curves! 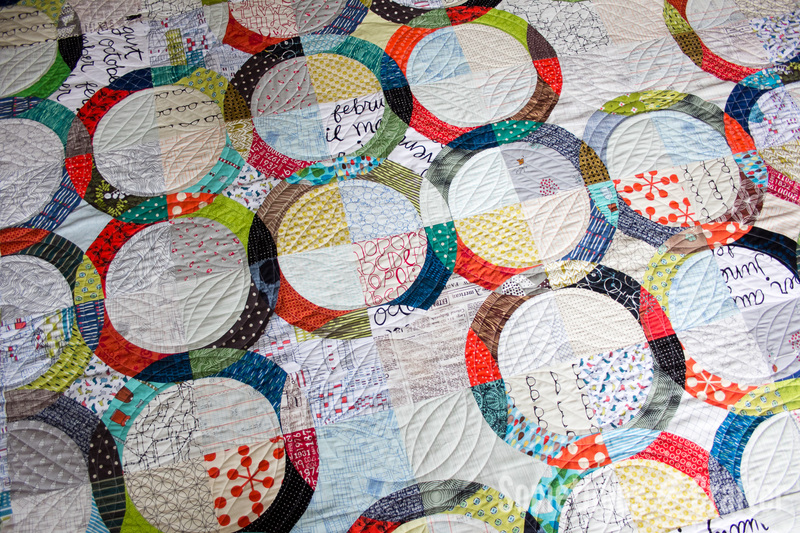 This was a custom quilting job, where I designed the circles to go around all the curved piecing along the rows. 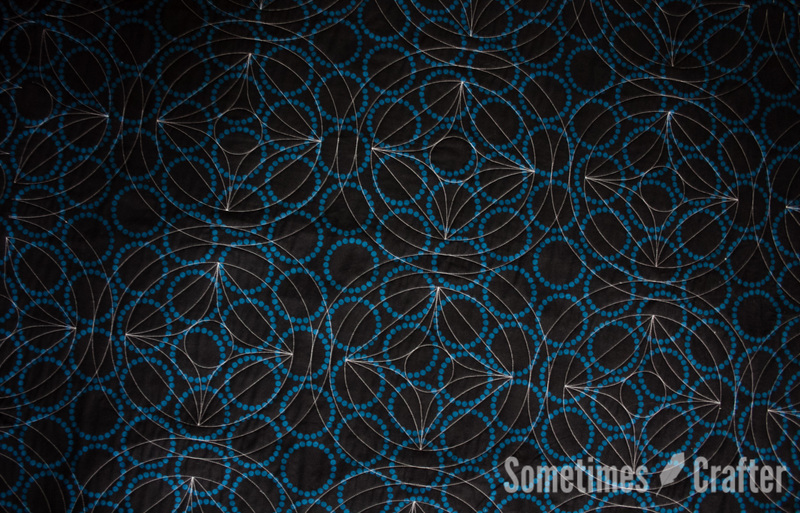 My Statler (the computer) quilted it, but I had to keep a close eye on things and make sure it all lined up with the row of curves that came after it, and that they were centered where the circles came together within the rows. I’m very particular and like things to line up and be centered, but that can often be hard due to the nature of the beast. It is fabric and it is hand pieced so things rarely stay where they should. It’s nice when it does what it’s told to do. But overall it all worked out. Where there were no circles we kept the circle quilting going to give the illusion of them being there. Personally, that was my favorite part. 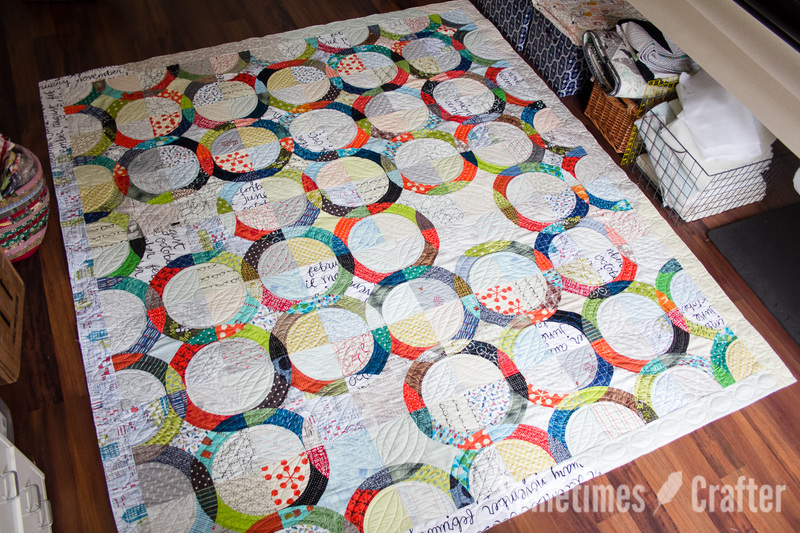 The design in the circle centers were kept simple because it was for her sons bed and I think it’s important to keep “utility” quilts on the loose side of quilting so they are soft and cuddly. 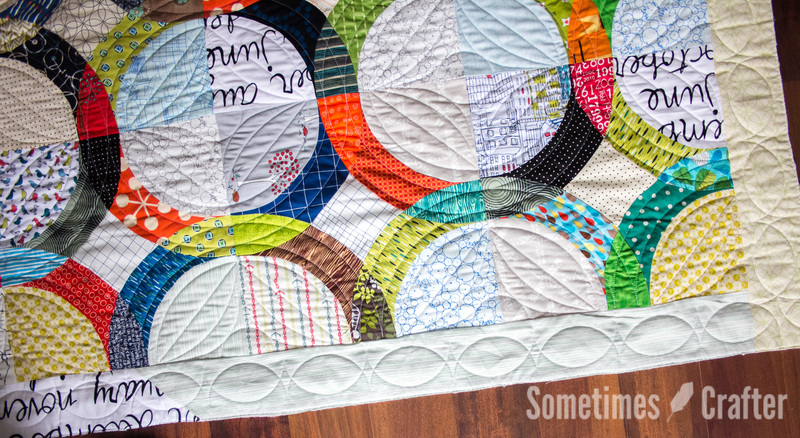 I kept thinking about quilting in those diamond spaces between the circles, but I think ultimately that would have been too much quilting for this quilt and it’s recipient, so I think in this case keeping it simple was the way to go. 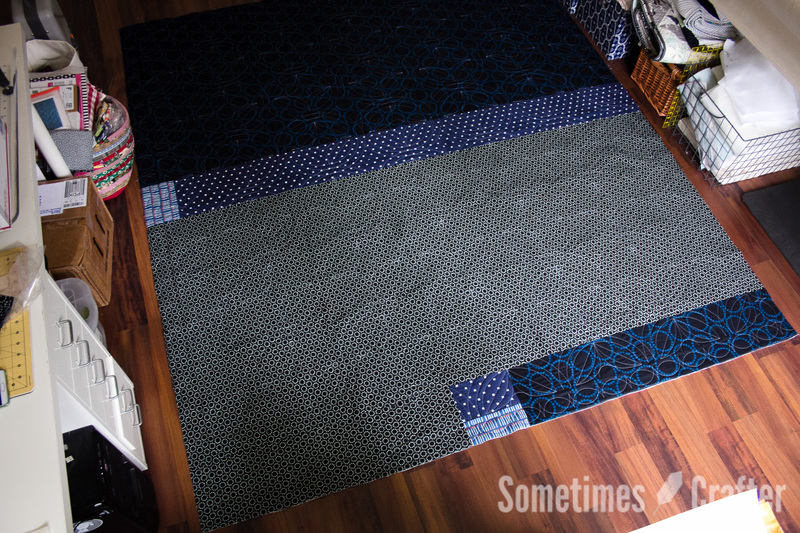 And just to keep things honest: she had a pieced backing, that I loaded the wrong direction and ended up being a little short when I got to the end of the quilt. That was the biggest palm-to-face moment, let me tell you. Luckily, there was plenty of fabric on the side, so I took everything off the frame (yes it was 80% quilted at this point), trimmed off one side of excess backing and sewed it to the bottom, loaded it back on (thank goodness for my Red Snappers) and finished quilting as if nothing ever happened. I still felt like an idiot, but we all make mistakes and luckily this one turned out to be no big deal. I am so thankful for understanding clients. It just looks like it was meant to be there, and was even straight across the back and everything. That made me feel a little better. 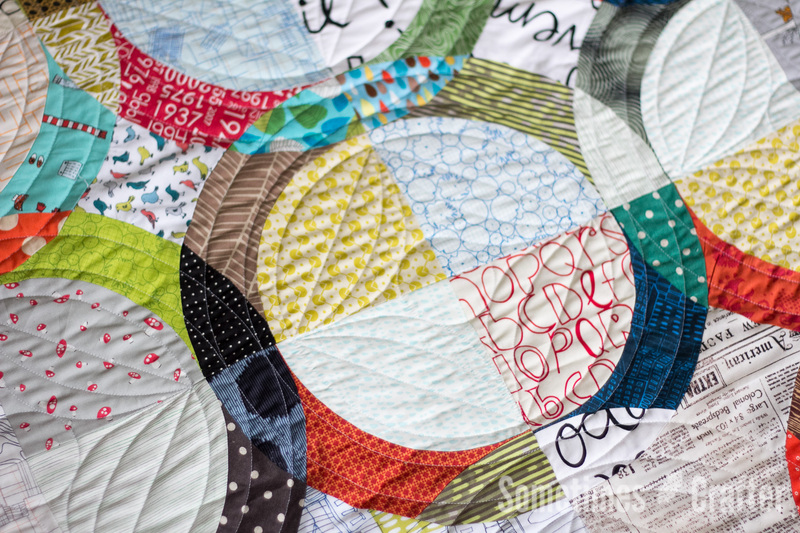 This quilt is BEAUTIFULL! It really is a winner. I enjoyed hearing about the design process and planning. I can relate to the part about loading the backing wrong, I recently did the same thing and felt very foolish so it’s nice to hear that it even happens to professional quilters sometimes. Thanks for sharing.